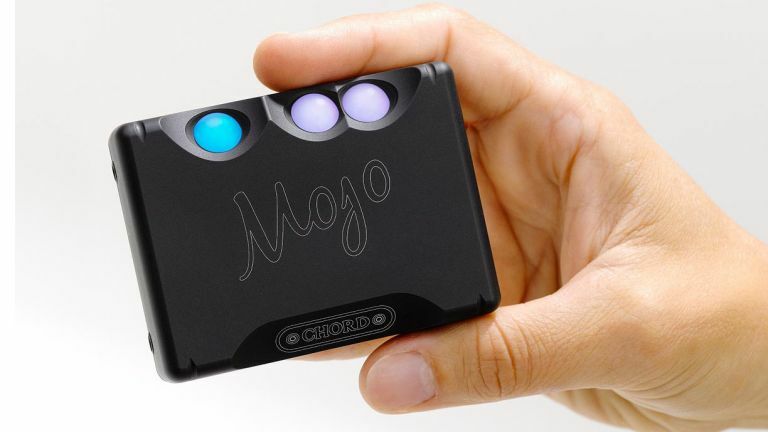 UK-based audio wizards Chord Electronics have found a way to banish bad music from phones and it comes in the form of the Mojo. This fag-packet sized box has been made to connect up to any smartphone and upgrade the music quality of both downloaded files and streaming content. This is done by way of the on-board amplifier and DAC (digital-to-analogue convertor). Chord Electronics has tried to make the Mojo as simple as possible to use - this is why on-board there's just an on/off button, volume control, two connections for headphones, mini USB slots, a coaxial port and optical-out functionality. Every other function is automatic. Those who are familiar with Chord's other products will be pleased to read that this diminutive device has been based on its Chord Hugo DAC - its similarly designed out of aircraft-grade aluminium and has been given a matt-black finish. It'll convert pretty much any audio file you can throw at it and will let you know how high-grade the audio you are listening to is thanks to some colour-changing buttons. Mojo is out now for £399. Is your DAC tank proof?